I am an avid traveler that has spent many years flying around the world, hopping on trains and throwing my bags into automobiles. What I have learned through my travels is that high quality luggage when traveling around the world is a must. I have had my experience with cheap luggage in the past and let me tell you they are not something you want to deal with while being far from home. 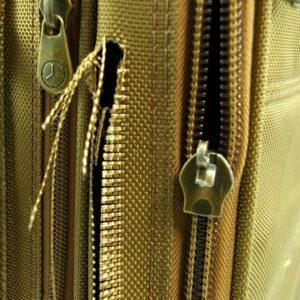 Below I have listed five reasons why you should never trust your items to travel inside cheap luggage. You should pay close attention to each of these. On a trip to three years ago to Japan, I decided to purchase a set of luggage from a big box store. The entire set was only $150 and I thought I was getting a really good deal. But after I checked the lugged with the airline I was very upset and what happened next. As I arrived at the airport in Japan I went to pick up my checked luggage. When I spotted my checked luggage I was shocked at what I found. There was a large hole that was ripped into the side of the suitcase and one of my best suits was hanging out of it. I was very upset and showed the damage to one of the airport staff members. While they were very nice about the situation there was simply nothing that they could do. The cheap luggage I purchased was so thin that it did not take much to rip a hole right in the side of it. At this point, I was upset at myself for not going with high quality luggage. Just like the checked lugged I took to Japan with me on another trip I was using a cheap carry-on luggage bag. I had all of my electronics inside and thought that everything was safe. But one of the other passengers accidentally knocked my bag out of my hands and it fell on the floor of the airplane. I really didn’t think anything about it until I went to check my phone to see if my brother had called. Once I pulled my phone out I was in shock. My very expensive smartphone that I spend several months saving up to purchase was busted! The screen was cracked right down the middle and I was in a foreign country with no way to contact my family or the cab company I had planned to pick me up. It turns out the padding that was supposed to protect my electronics was less than perfect and not even rated as shock resistant. I was very upset and when I got home from my trip I unloaded my items and put the bag in the trash. Another thing that I have noticed in my years of travel is that most cheaper checked luggage is not resistant to water. After carrying my checked luggage bag in the rain one afternoon to my surprise my clothes were a little damp. While they dried out rather quickly once I laid them out on the hotel bed I was still upset that the lugged did not keep all the water out. On the other hand, I have carried high quality lugged in the rain with no problems what so ever. I even go in a downpour one day with my high quality bag and nothing inside got wet. 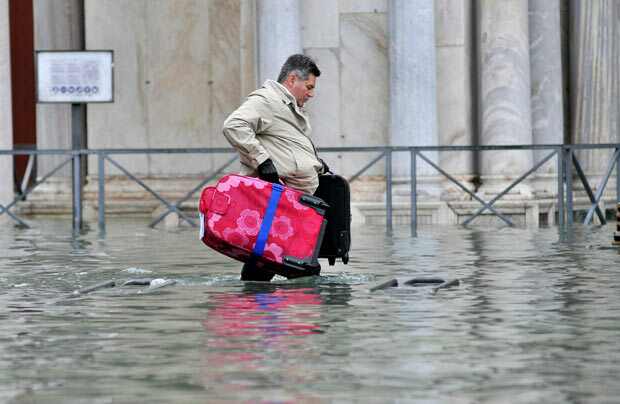 So if you are going to be traveling to a place that rains a lot I would suggest you stay well away from any cheaper bags. You would not want to risk getting your items wet. This is yet another problem that people using cheaper luggage face. On these cheaper models zipper are small and they have a tendency to break even if you are very careful with them. This can cause serious problems if the zippers fail while you are on the road. Your items inside of the bag are at risk of being stolen or falling out during transit. Sometimes this zippers can even brake trapping your items inside of the bag. The only way to get them out is with a pair of pillars. If this is an issue that you are struggling with but you love your bag look for a luggage repair shop near you. Some cheaper bags simply stink. 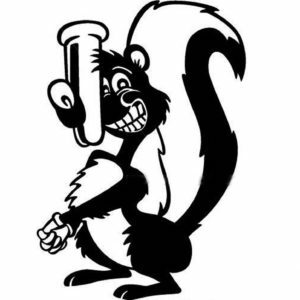 The cheap materials they are made from can produce a foul odor that can cause your clothing to smell bad. This has happened to me at least 3 times during my days of travel. If your bag gets wet this smell gets even stronger and if you are in the same area with the bag you can smell it from several feet away. I am not sure why these cheaper materials smell so bad but they do and your clothes will smell like them too if you are not careful. This is one reason I will never buy low quality luggage again. Getting that smell out of your clothes is very hard to do and it can even ruin some types of cloths. If you’re facing this problem check out advice from our friends at The Luggage List. There are five different things that you should look for when out shopping for high quality luggage. Below is a list of these five attributes that which will help you determine which luggage is the best. The first thing you should look for when shopping for high quality luggage is the material it is made from. Try to stay away from cheaper plastic and canvas bags and look for those made from more durable materials such as leather and high impact rubber. These materials will keep your items safe and you will never have to worry about tears or rips in your luggage. High quality luggage should be able to take a hit without being damaged. This is necessary if you plan to travel long distances by plane. Luggage is sometimes handled roughly and only a high quality bag will be able to take the abuse. This is something you should always look for in a bag. You will want to choose a bag that has enough room for your items. If you plan to travel for great distances, you will want to pick a bag with enough room to carry all that you will need to live for several days or weeks while not at home. On the other hand, if you are going for just a one day trip you might want to bring a bad that has a lower capacity. This will allow you to travel lighter but still have the items that you need close at hand. 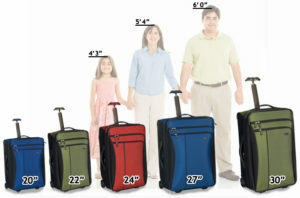 Choosing the right size bag for you will help your travels go much smoother. So make sure to size up the right bag for you before you make a purchase. We learned that cheap zippers will break easy and leave you in danger of losing your items. So choose luggage with large zippers made from only high quality metal. Avoid those bags with plastic zippers and ones with very small zippers. These can break and because you lot of trouble while out on the road. Most if not all high quality bags will have very sturdy zippers that are easy to slide up and down. Remember the larger the zipper the better because they will have less of a tendency to break. When you are pulling you luggage along in the airport many times you are in a rush. So make sure that you choose a bag with larger wheels that are easy to pull. 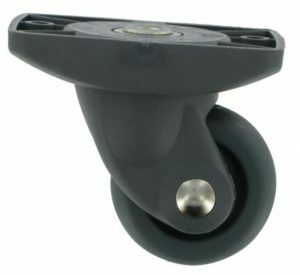 These wheels should be make from rubber rather than plastic so that you will not have to worry about them slowing you down. Not many cheap bags come with rubber wheels so this is a good sign that the bag is of high quality if it has rubber wheels. 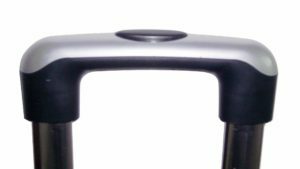 Lastly, you should pick luggage that has a good sturdy telescoping handle. This will allow you to quickly pull your bad around the airport so that you will never miss a flight again. Sturdy handles should be made of high quality metals like aluminum. These metals will hold up to the test of time but are lightweight enough not to slow you down while on the run. Also, the handle should have extended several feet so that anyone can use it. No matter your height you should be able to comfortably use the handle on your bag. Which High Quality Bags Are Best? There are three brands of high quality bags that come to mind when looking for checked luggage and carry-on luggage. Below you will find these brands and what they can offer you. If you want to check out an in-depth overview of the best brands, check it out here. 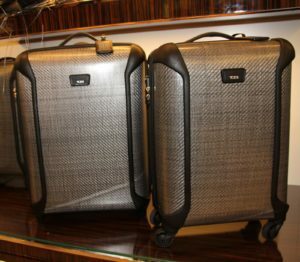 This brand has been around for many years and travelers all over the world trust Tumi with their luggage needs. All of their products are made from durable materials that will last you many years. Tumi has one of the largest selections of luggage to choose from so finding one that is right for you won’t be an issue. They have small carry-on bags that are perfect for short trips and they have huge checked bags that will carry several weeks of clothing with ease. So no matter what size bag you are looking for you will find it here. While they are pricey these bags are well worth the money. The years of use you will get out of these bags is worth the added expense. Just think of buying one of these bags as a long term investment that you will get years of enjoyment out of. Not many luggage companies can offer this much assurance. Another fine luggage maker Briggs and Riley have produced some of the best high end bags around. They too have a large selection to choose from and they take pride in the products that they make. Each one of their luggage pieces is crafted with care and the quality you will receive is top notch. You really won’t find a better looking bag than a Briggs and Riley. If you are looking to make a fashion statement these are the bags for you. Elegant yet durable these luggage collections will have you looking great wherever you decide to go. Every one of these bags is made from the finest materials so that your items will always be safe and sound. These bags are also easy to carry because they use only the best wheels on the market. You will never have to worry about one of these bags slowing you down while you are in a hurry to catch your plane. When it comes to high quality you will always find it here. Delsey is one of the world’s leading luggage makers and some of the finest bags can be found in their collections. Durable and built to last these bags can take a licking and keep on ticking. Very strong and make from only the finest materials you will never have to worry about buying another piece of luggage again. Delsey bags are often handed down from generation to generation and that is how durable they are. Once you purchase one of these bags you will never want to own another brand. While they can be expensive you won’t worry about money when you know that your items are safe and sound inside of one of these bags. Not many other bag makers in the world can live up to the standards set by Delsey. This means that you will be getting only the finest products that will give you lots of joy. Traveling is rough but when you have a Delsey by you side you will know that your property is safe from harm. 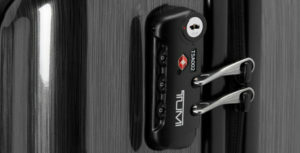 This company makes some of the most secure bags around and you will be able to lock your items away from prying hands. So if you are looking for a strong bag that will keep your items safe at all times then you should get yourself a Delsey.